The Microtech Makora II knife fires in and out automatically via the sliding firing button the the knife's right side. 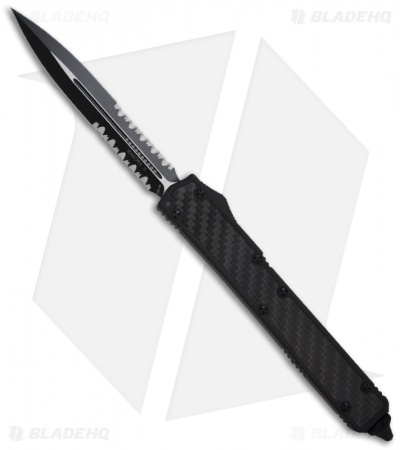 The double edge blade is black DLC coated Elmax steel with partially serrated cutting edges. This Makora II has a black anodized T-6 aluminum handle with carbon fiber inserts front and back. The hardware, pocket clip, glass breaker and firing button are all tactical black finished. 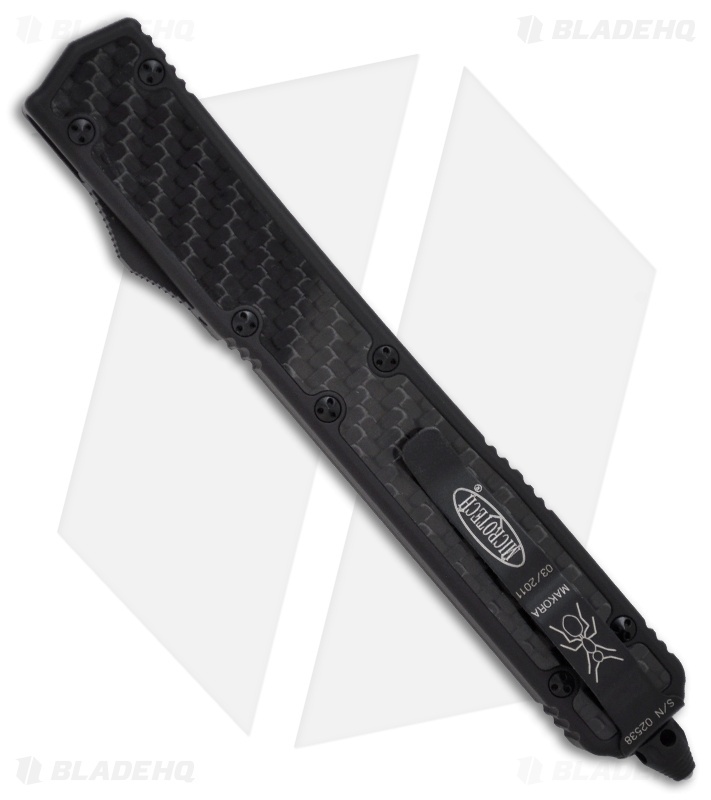 The action on this run feels exceptional and we think the Makora series represents the Microtech line well. The screws on these are custom and cannot be opened with either torx or standard Tri-wing wrench sets. You must use the tool sold HERE.